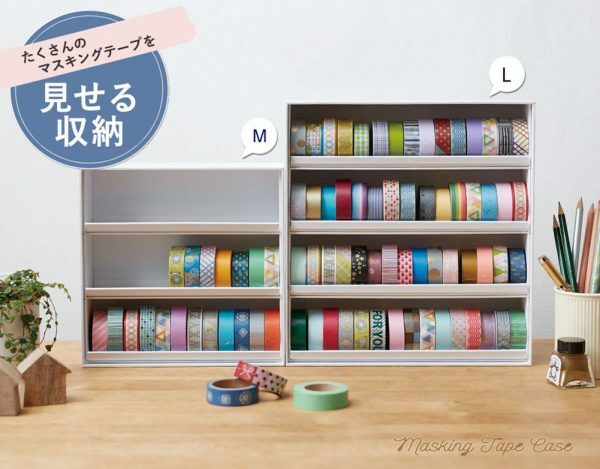 Washi Tape Storage Ideas - Super Cute Kawaii!! Lately I’ve been looking into ways of storing my ever-growing collection of washi tapes. I wanted to arrange them by colour, preferably in one place. Recently King Jim (known for their washi label printer) has introduced washi tape storage cases. You can stack them when laying flat, or close them up like a book. 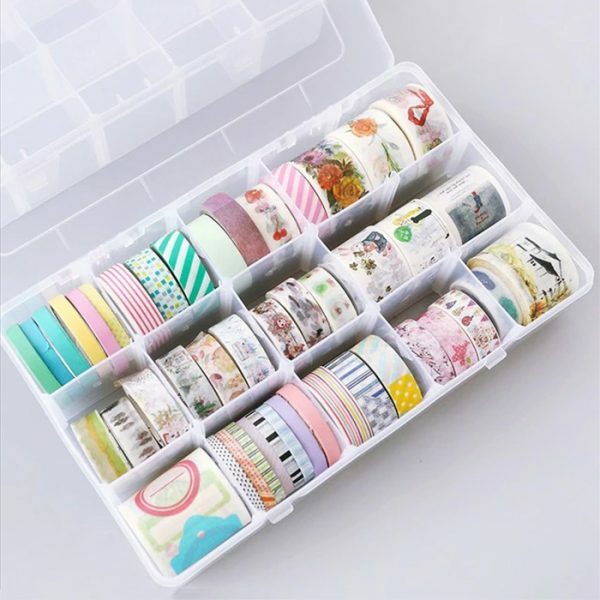 This is a great solution if you have got a modest amount of washi tapes. 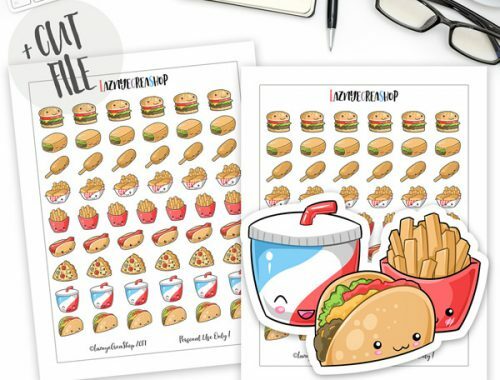 The large size holds up to 60 pieces of washi tapes while the Medium size can hold about 36 pieces. 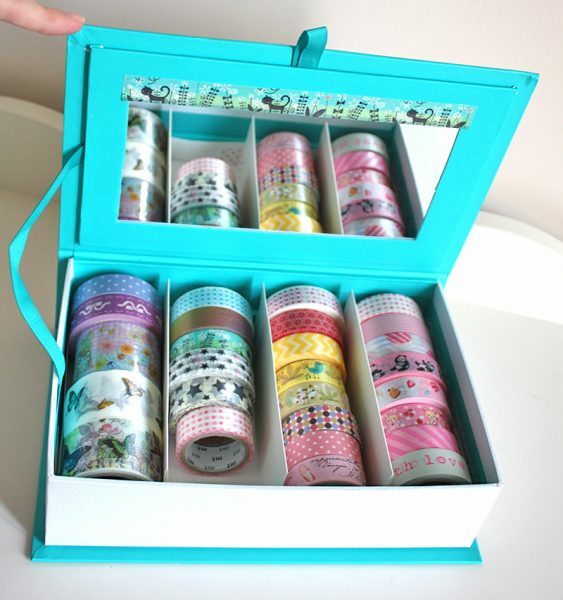 Another idea to hold about 30-50 washi tapes is by turning a cardboard jewelry box (EU) into a washi box. 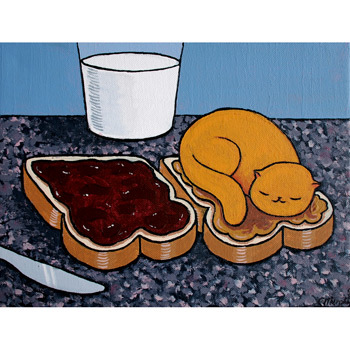 You can do so by gently removing the inner boxes. Next make dividers by cutting sturdy paper into pieces of about 17cm width. Fold the paper in half and fold a piece of about 2,5cm to each side. Glue the dividers down, so you have a space of about 5cm in between them. Recently I saw a great tip on a Facebook journal group; you can use Ikea Variera inserts for spice jars to place washi on! Three of those inserts will fit into an Ikea Alex drawer, holding a good amount of washi tapes. This is how I store most of my washi tapes, because it keeps them in reach while I’m journaling. Acrylic drawers keep your tapes in place while you still get to see most of your collection. These kind of drawers are available at Michaels (USA) and Muji (Worldwide). 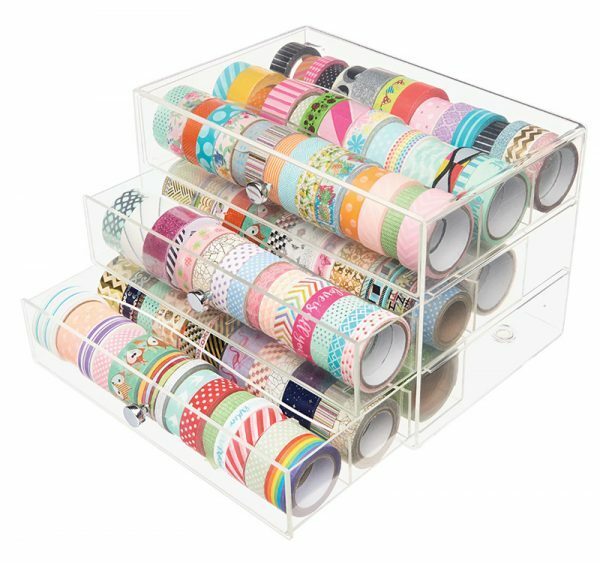 Another solution where you get to see your collection is this clear washi tape storage box (CN). 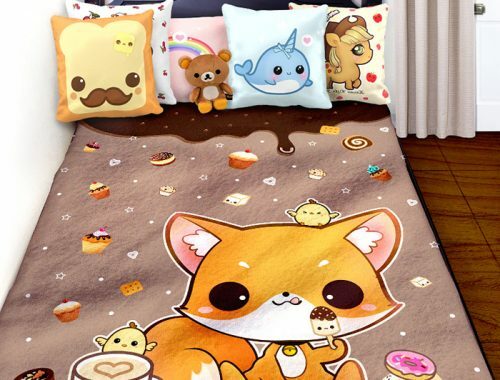 The small dividers can be rearranged to your liking. This way you could also store pens or other stationery in between, which would be great for traveling. 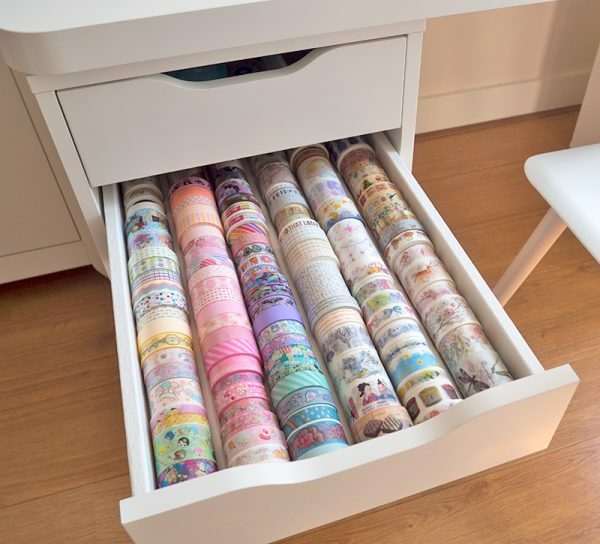 How do you store your washi tape?